These week 11 NFL Picks, after consulting with governors of the 31 other teams, have decided not to accept Cleveland Browns fans as refugees. Yes, we have seen the pictures of their despair. And we understand that cheering for almost any other NFL team would improve the lives of these folks immensely, and spare them weekly torture based on their religion. But frankly, these people can’t be trusted. They have been second-class citizens for so long that some Browns fans, we’re sure, are liable to have a Brady Quinn flashback, or worse yet, a Charlie Frye flashback in the middle of a perfectly fine NFL game. 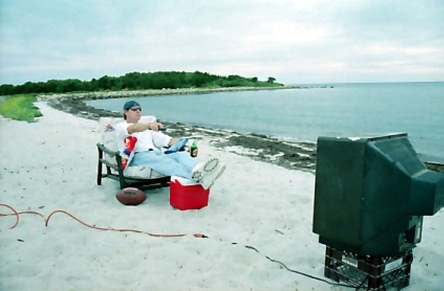 Can you imagine the type of havoc a disgruntled Browns fan could cause at something like a New England Patriots party? No? Okay, allow us to imagine it for you and then tell you about it 24 hours a day on our cable news channel, FUX News. We are, in fact, so fearful of these Cleveland Browns refugee fans that we’re with candidate Donald Trump when he suggested that all of them be forced to wear an orange helmet on their clothing. We understand that this crisis has been a long time coming and that it was our own actions of allowing the team to move to Baltimore that started this. But these are the consequences of a displaced people who find they have nowhere to go except anywhere else. Browns fans have not cheered for an actual NFL team for decades, therefore they are different and suspicious. Because of them, we are continually worried about whatzgonnahappen. BYE AT SAINTS – The big fat shadow of Rob Ryan hangs over the city. BYE AT GIANTS – Eli Manning goes to a surgeon to change the stunned sad expression frozen on his face. BYE AT STEELERS – Ben Roethlisberger writes a children’s book about Jared from Subway. BYE AT BROWNS – Mike Pettine learns Johnny Manziel’s name. This column is sponsored by the sun rising in the morning.